Researchers Seeking Ways To Prevent Type 1 Diabetes | KDT Optometry - Excellence Is The Only Option! On the front of its Personal Journal section, the Wall Street Journal (6/7, Wang, D1, Subscription Publication) reports that as more American children are diagnosed with type 1 diabetes, researchers are working harder than ever to find ways of preventing the disease. 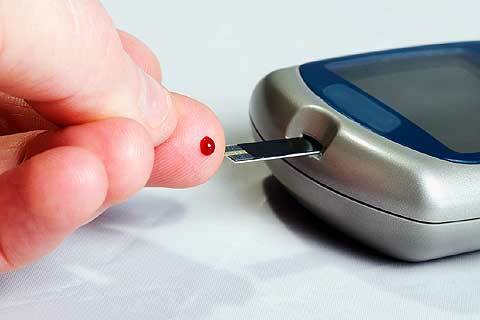 Now, new studies funded by the US government are suggesting that it may one day be possible to prevent type 1 diabetes. In one 10-year study, researchers with financial support from the National Institutes of Health found that oral insulin caused a delay of full-blown type 1 diabetes of approximately four years in certain patients. Currently, NIH is sponsoring a study to examine if taking oral insulin can delay or prevent type 1 diabetes in patients at high-risk for developing the disease. Meanwhile, in a study partially funded by NIH, researchers are evaluating teplizumab as a means of preventing type 1 diabetes. Research in animal models looks promising. Islet Cell Transplants Allow Some With Type 1 Diabetes To Discontinue Insulin. The Orlando Sentinel (6/7, Jameson) reports that “fewer than 1,000 type 1 diabetics worldwide who have received a pancreatic islet cell transplant, an experimental cure for diabetes.” The procedure, “first performed successfully in 1990…involves harvesting the fragile insulin-producing islet cells from a deceased donor’s pancreas and transfusing them into the liver of the recipient.” The transplanted beta cells go on to make insulin. However, “‘islet cell transplantation is still experimental,’ said Dr. Thomas Eggerman, director of the clinical islet transplantation program for the National Institute of Diabetes and Digestive and Kidney Diseases at the National Institutes of Health.” Even though “islet cell transplantation is safer and less invasive, whole organ transplants are considered more durable, he said,” results scientists are working hard to change.